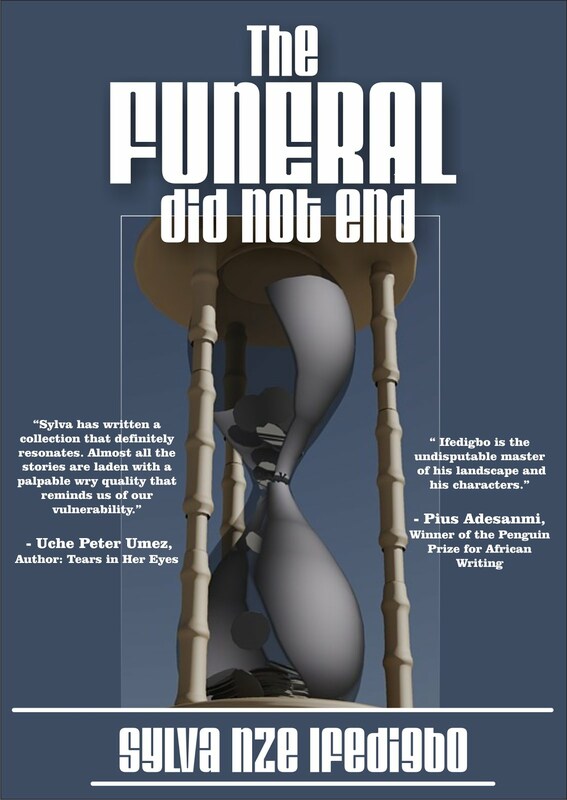 Here is an excerpt from The Funeral Did Not End by Sylva Nze Ifedigbo. TRAVELLING HOME to Agulu has always been something you look forward to. You have always felt lonely in Lagos, this strange big city where everybody is in a hurry. You love Agulu, not just because it is your home, but mainly because of the memories that it brings to your head. It is those memories that usually drew you like a thirsty man to water, adding extra spring in your steps as you walk to buy your ticket at the bus station counter. It made you smile and wave greetings to other passengers who you did not know. It made you hum mutilated tunes of nursery rhymes you usually sang in Ntakara School as the bus tore through the rain forest, eastwards. It is those memories that haunt you today. They gnaw at your thought, those memories, eating you up by the bits and you wonder again if you should make the trip. The lady at the ticket counter is familiar. You know her name, Ifeoma, pretty and tall, just the way you like your women. The last time you travelled to Agulu which was two months ago at Christmas, you had flirted with her. The crowd at the bus station, families eager to wake up in their villages on Christmas morning had been too much. You arrived late and met a sea of heads. Your ticket number showed that you were not likely to make the trip that day, but you hung around, chatting with Ifeoma at the counter and making her laugh out loud, her eyes glassy with tears. You learned that she is from ObodoUkwu, a town through which the bus to Agulu would pass. She wasn’t going home because she had to sell tickets to other travelers. You promised to bring her ube and udala from the village though you never did. She enjoyed your company that day and showed it by re-writing your ticket and giving you a seat on the very next bus. Today she smiles at you but you make like you don’t know her, like her smile nauseates you. You see the shock in her eyes. You recognize it. They are yours, the kind that had enveloped you when the text message first arrived your phone. You were sitting before the mirror, just out of the shower, watching as water rolled down your body from your hair and disappeared just before it reached your navel. Your phone was there on the dressing table and you had reached for it as soon as you heard the beep, your face melting into a smile. You were sure it was Nwanneka, the lady you met the week before at the bank, texting to inform you she was now on her way to your house. But the smile quickly disappeared, like it just did from Ifeoma’s face, as you read the message. You didn’t only feel, you saw the shock as you looked at yourself in the mirror.